"As many as 5 producers have interacted, confirmed that they saw some kind of news which states Mahesh Babu is not keen to work in Bollywood cinema. All of them decided to keep their plans on hold working with Mahesh Babu and may approach him after 20-30 odd years when he would be free and would want to take a chance in Hindi cinema," said a source who is close to big producers and directors such as Chopra, Hirani and Johar. Recently, Mahesh Babu who successfully released a Telugu movie 'Seethamma Vakitlo Sirimalle Chettu' said reporters that he had no plans to act in Bollywood films. Talking to reporters during an event, he said he would like to focus only on Telugu cinema. "I have already said that my contribution will be only for Telugu films," he said and added: "I don't have any plans to work in Bollywood." "Mahesh Babu was not really aware that anybody would read the news that he said he would not want to work in Bollywood cinemas," said the source. He told that most of the producers and directors who were thinking him to cast in their next movies as a mega star are now planning to skip the idea. These producers and directors include 3 Idiots fame Rajkumar Hirani, Aditya Chopra, Karan Johar, Sanjay Leela Bhansali and Abhinav Kashyap. "Yea that's correct. I was thinking him to launch in my next movie as a grandson of Shahrukh Khan. I was in talks with Aadi (Aditya Chopra) if he postpones his launch of Mahesh Babu and let me launch him first. Even Shahrukh was ready to become grandfather of Mahesh Babu. 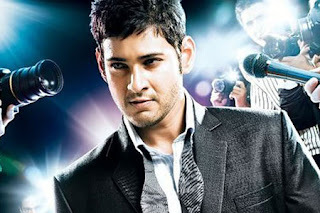 However, now Mahesh Babu said that he is not interested in Bollywood I would have to skip the idea," said Karan Johar. Aditya Chopra also confirmed that he had discussions with Karan Johar. He said "I was having argument with K-Jo as how he dare launching the great super star. I wanted to launch this bloody great super duper star in Bollywood. However, he took my permission after threatening to break the relationship with me. Now both of us are depressed as Mahesh Babu is not interested in working Hindi movies. But what can we do? Life should move." Rajkumar Hirani, another successful director said "I was having talks with Vidhu how can we make bigger and more successful movie than 3 Idiots. He told me take Mahesh Babu in the next movie. I planned to postpone Amir Khan starrer 'Peekay' to 2015 and launch Mahesh Babu in this year. But sadly he doesn't want to work in Bollywood movies. But we are not disappointed. I think he must have huge pending work in Telugu movies. Therefore, whenever he complete the backlog after 20-30 odd years I would love to cast him along with Aamir's son."